This is just yet another quick way to catch up a nice relaxation by the Chesapeake Bay. Annapolis cruises depart at City Dock. There are few small cruise boats from the City Dock that offer 40-minute narrated cruises equipped with beverage and snack service available on board except for water taxis. This short cruise talks about historic Annapolis, the culture and fun of the Chesapeake Bay region and the history of the US Naval Academy. 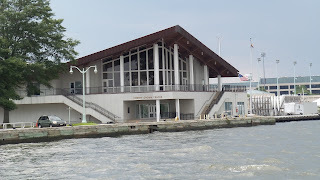 You will get to enjoy seeing downtown Annapolis from the water and even getting the chance to catch a glimpse of the Chesapeake Bay Bridge while cruising the Annapolis Harbor and the banks of the US Naval Academy.